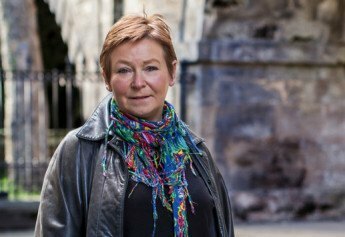 Mairi is an Edinburgh based writer whose first novel, Ursula’s Secret, was published by published last November by Black & White Publishing after winning the Sunday Mail Fiction Prize, and was in the Kindle top 100 for three months at the beginning of the year. Shelley has been a litigation lawyer, a psychology lecturer and a research professor. These days she mainly writes fiction. Her debut, The Confession of Stella Moon, was published on 7 July 2016 by Saraband. The novel won the Andrea Badenoch Award, was long-listed for the Bath Novel Award, and shortlisted for the Charles Pick Fellowship and the Dundee International Book Prize. Both these debut authors will talk about their different approaches to creating vivid and exhilarating explorations of the impact of secrets which span generations in a family. They discuss what is said and what is left unsaid as mysteries are uncovered. The authors will be in conversation with Anne Loughnane, whose second novel, A Clarewoman’s Journey, has been published recently. In just a few heartbreaking days, Lexy Shaw’s world has fallen apart. After her mother is killed in a tragic hit-and-run, her mother’s childhood guardian, Ursula, also dies suddenly, leaving everything to Lexy. 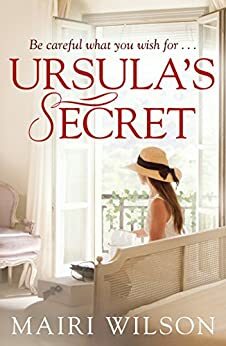 But as Lexy reads through Ursula’s hidden papers, what she discovers raises doubts about her own identity and if she really is now all alone in the world. Desperate to find out if she has any surviving family, Lexy travels to Africa hoping she can unravel the mystery she’s now tormented by, only to find that she’s stumbled into a past full of lies and deceit and that her life is in grave danger. 1977: A killer is released from prison and returns ‘home’ – a decaying, deserted boarding house choked with weeds and foreboding. Memories of strange rituals, gruesome secrets and shame hang heavy in the air, exerting a brooding power over young Stella Moon. She is eager to restart her life, but first she must confront the ghosts of her macabre family history and her own shocking crime. Guilt, paranoia and manipulation have woven a tangled web. All is ambiguous. 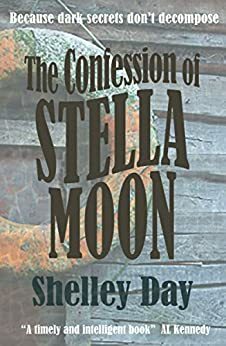 What truth and what lies are behind the chilling confession of Stella Moon?